Worker Honey Bee taking up honey. Worker bees are always females. 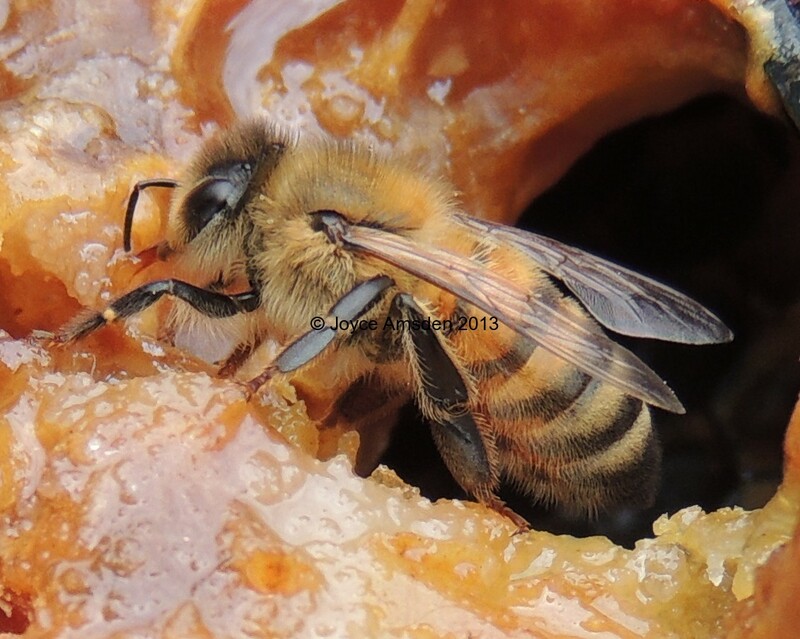 Male honey bees (Drones) find their sole purpose in reproduction.